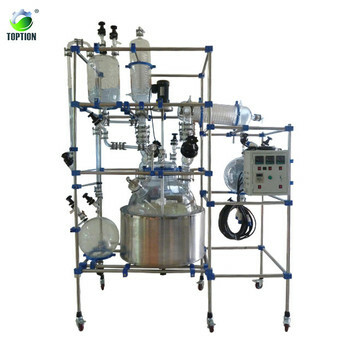 Toption Jacketed Glass Reactor are available with different options, depending upon their size & their utility. 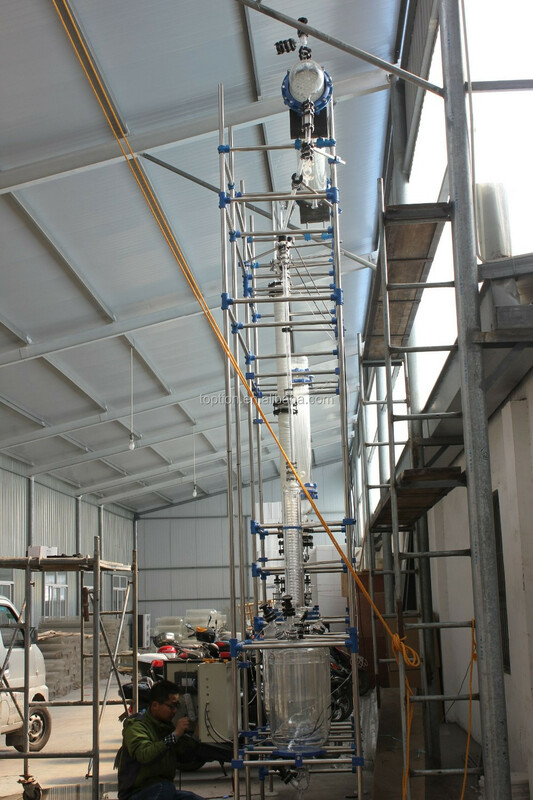 We will glad to assist you in finding a suitable solution for your process requirement. 1. Stirrer Drive: Non-Flameproof or Flameproof Motor, 192 RPM with speed regulator. 2. 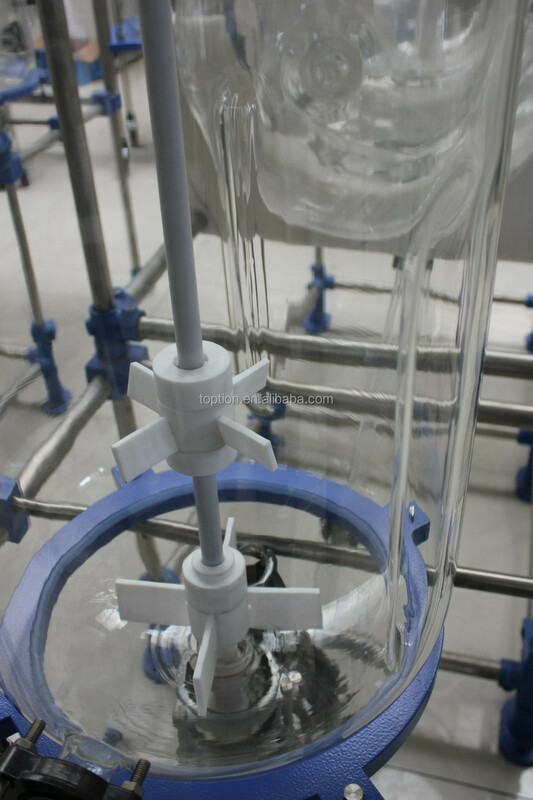 Stirrer material of construction: Glass or PTFE Lined. 3. 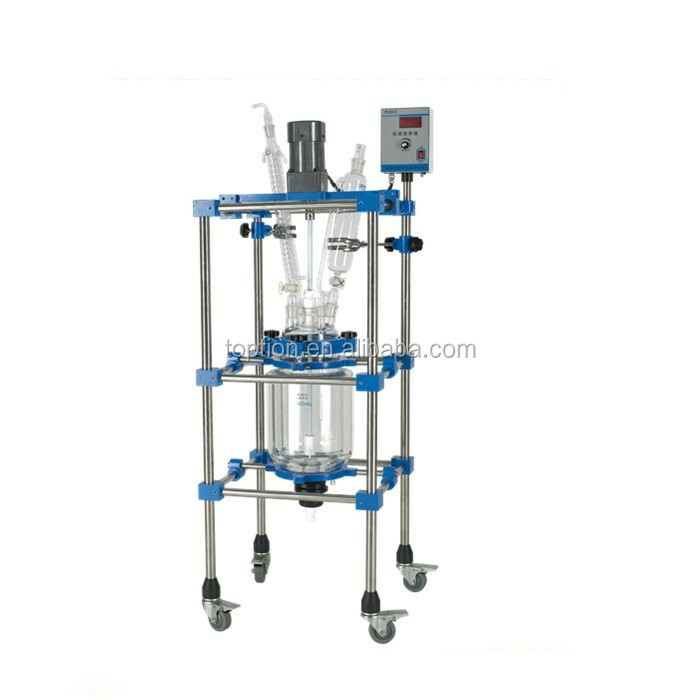 Stirrer shape: Glass Impeller Stirrer with PTFE Blades, Vortex Stirrer, propeller stirrer & anchor stirrer. 4. Stirring Assembly: Stirring Assembly with bellow seal or with mechanical seal. 5. 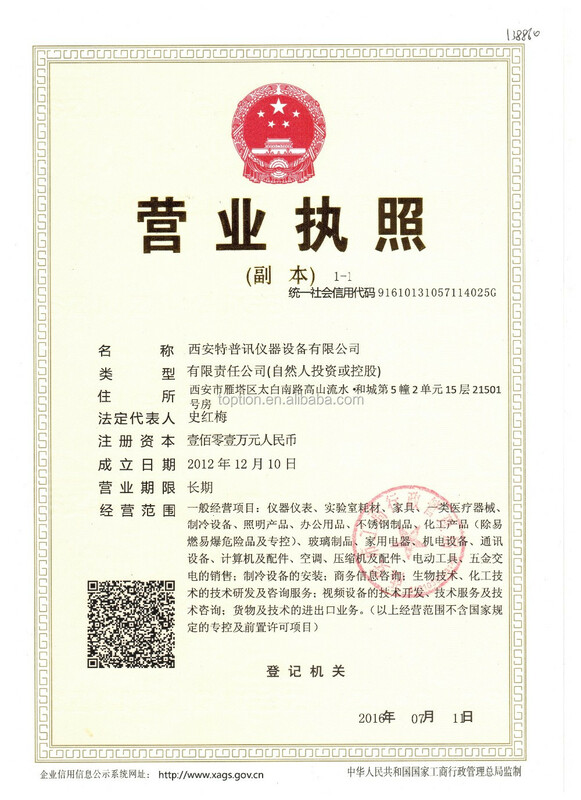 Supporting Structure: Carbon Steel, Epoxy coated Carbon Steel, Stainless Steel 304 & Stainless Steel 316. 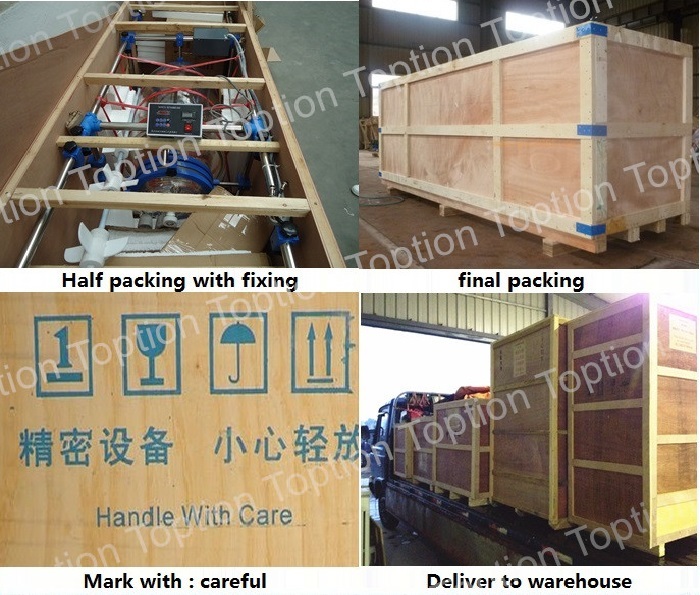 All structure are available in Trolley mounted form. 6. Closing Valve: Drain Valve or Flush Bottom Outlet Valve. 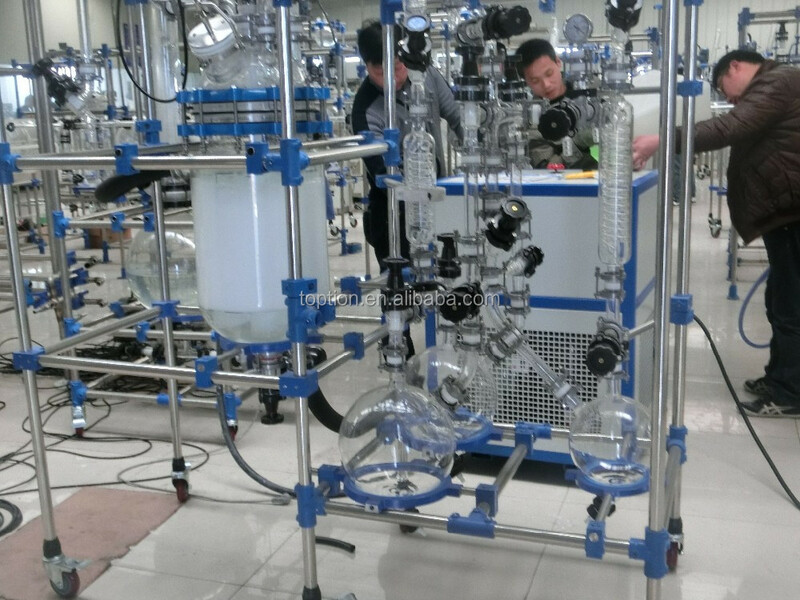 This TOPT-80L jacketed high pressure glass reactor double layer glass reactor adopts GG17 high boron silicon as material ,digital display.And it's high quality has passed CE certification. 1. Custom sevice is welcome here. 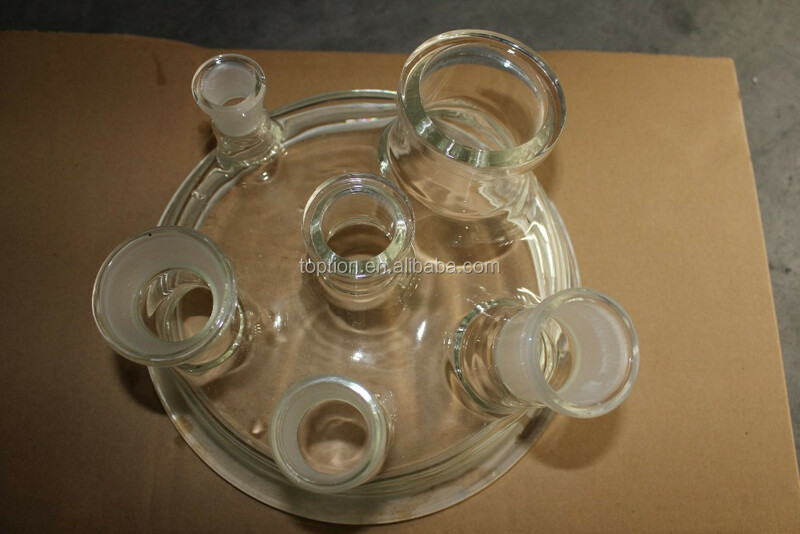 2.we also have the match equipment for the glass reactor. 3.If the voltage and plug need to be replaced, pls give clear indication when in contact us. 1. 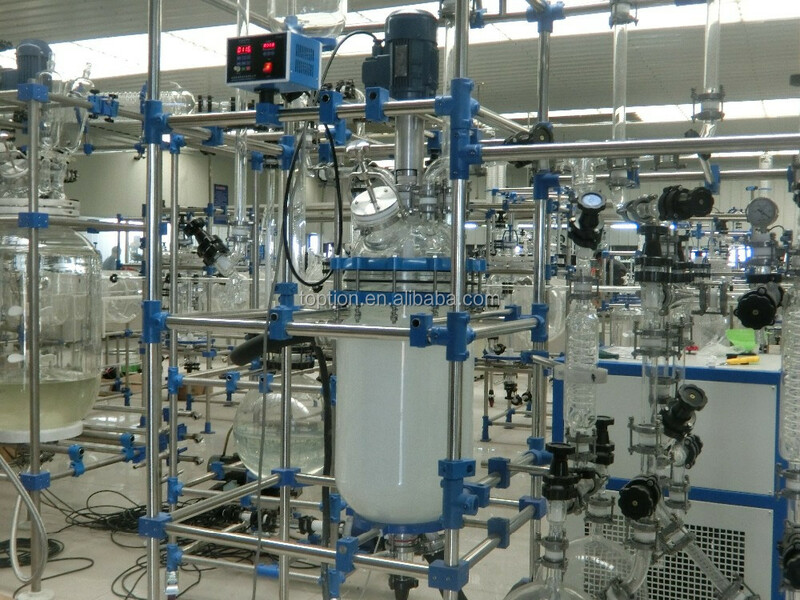 Double glass reactor using VVVF, AC Induction Motor. Speed constant, no brush, no sparks, security staTOPTe, continuous working. 2. 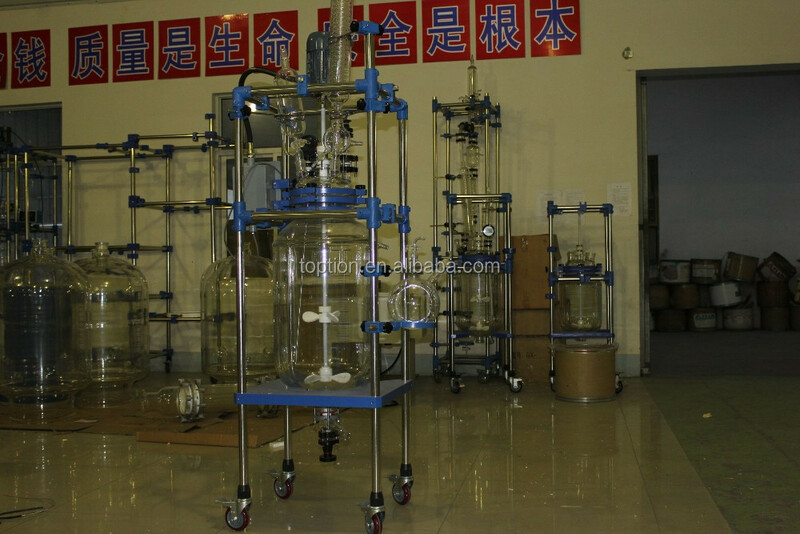 Complete glass reactor adopts GG17 high borosilicate glass production good chemical, physical properties. 3. 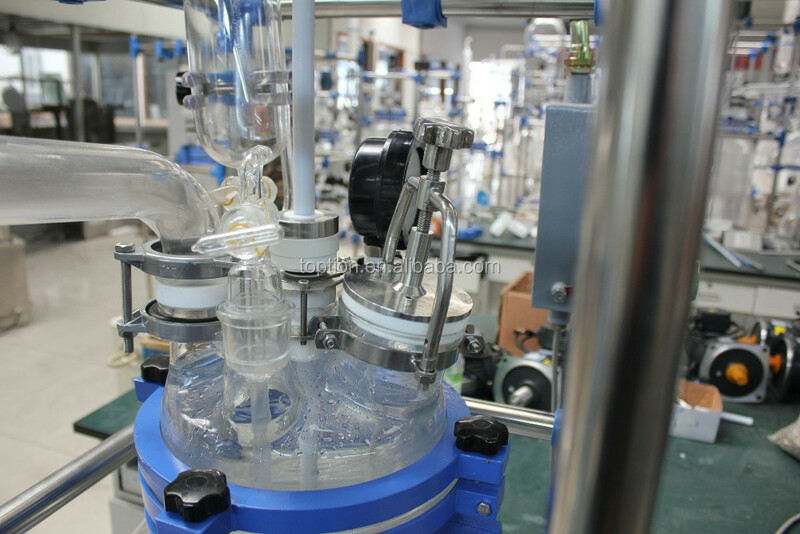 Glass interlayer Interface communication on hot oil through cycle do Heating Reaction, Tung on cryoprotectants can be hypothermia reaction. 4. Can normal temperature reaction, pass last tap namely quickly will reflect heat away. 5. 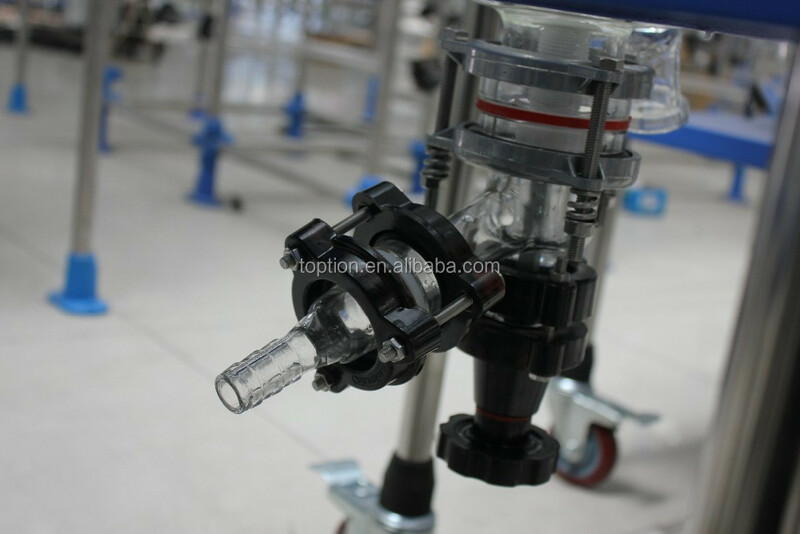 Decentralization material mouth with flange mouth and PTFE valve, container no dead corner detachaTOPTe easy solid materials outfeed. 6. 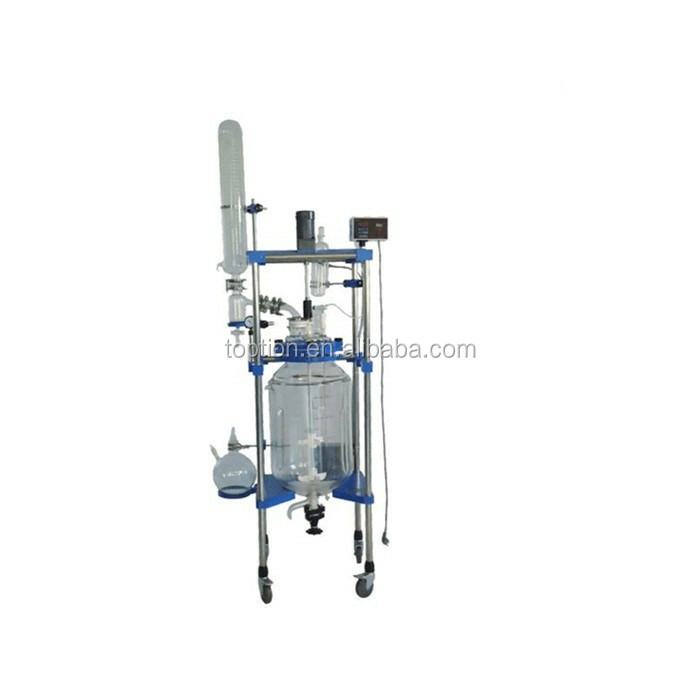 5 reactor lid, large mouth design easy clean standard mouth socket selectaTOP Te assem TOPT reflux, distillation synthesis device. No dead angle, air isolated discharge. Max drift diameter 20mm. Preload discharge valve is able to decrease flask crack risk due to improper over-screw of discharge valve. 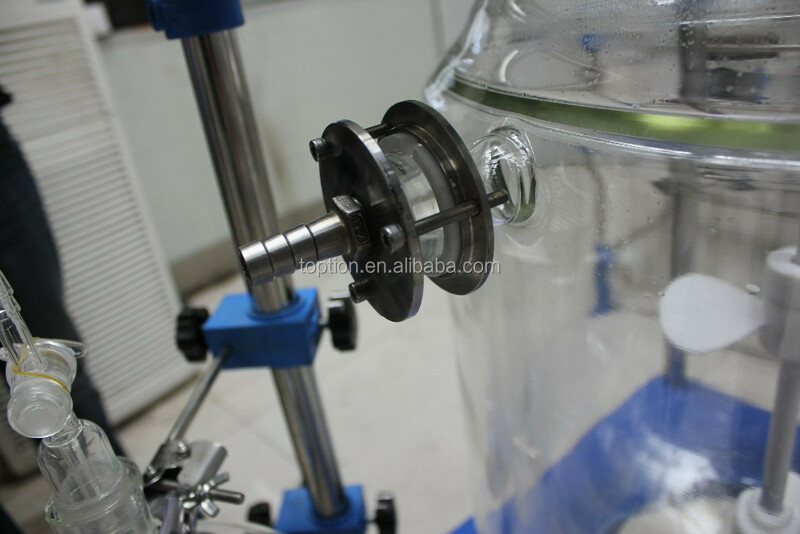 Customization of TOPTION big capacity glass reactors. 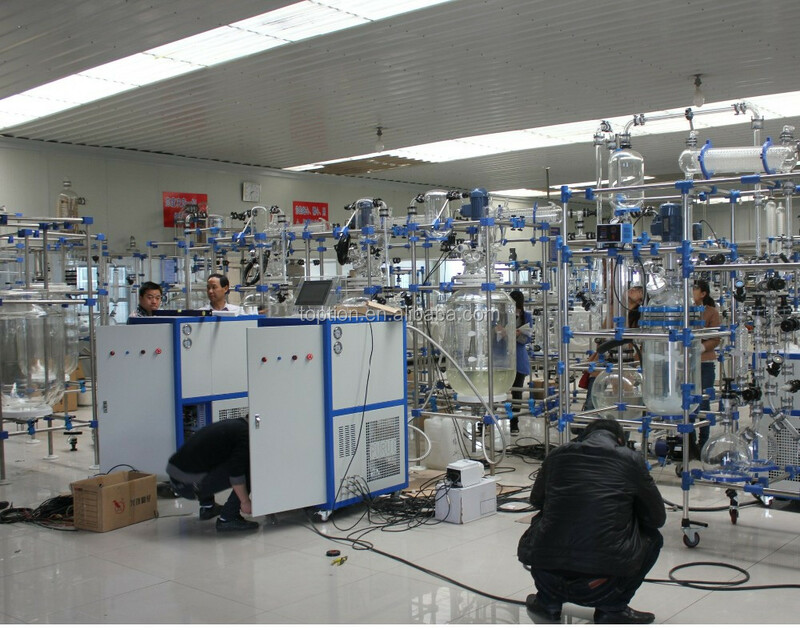 1) Charging valve - pure charge process without gel pollution. 3) Condenser - Ball joint connection, easy to assemble, with less vibration. 4) All taper joints upgrade to flanges, no seizure, no damage to glass necks. One-piece quick clip design. Offer new experience on easy, reliable, and high sealing connection . No-sample accumulation in valve during operation and discharge. Max drift diameters is 20mm. 1. Inquiry and consulting support. 1. 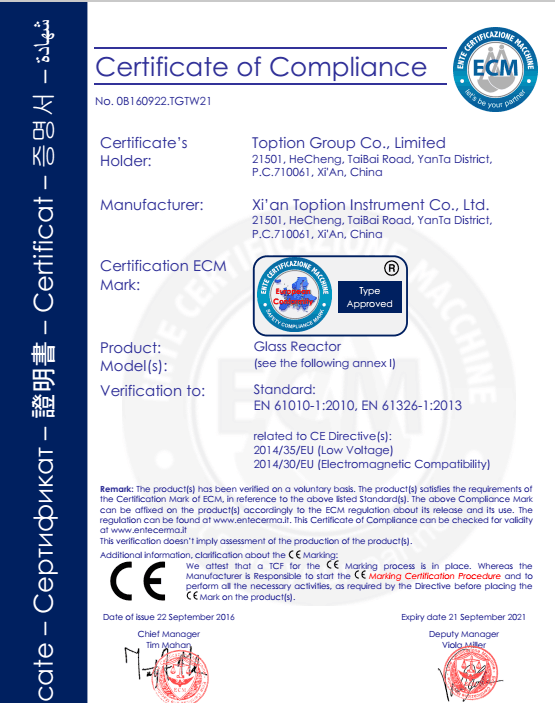 One year warranty for the products described here. 2. Beyond the warranty period, product problems can also be solved by our company, but charge component cost and maintenance cost properly. 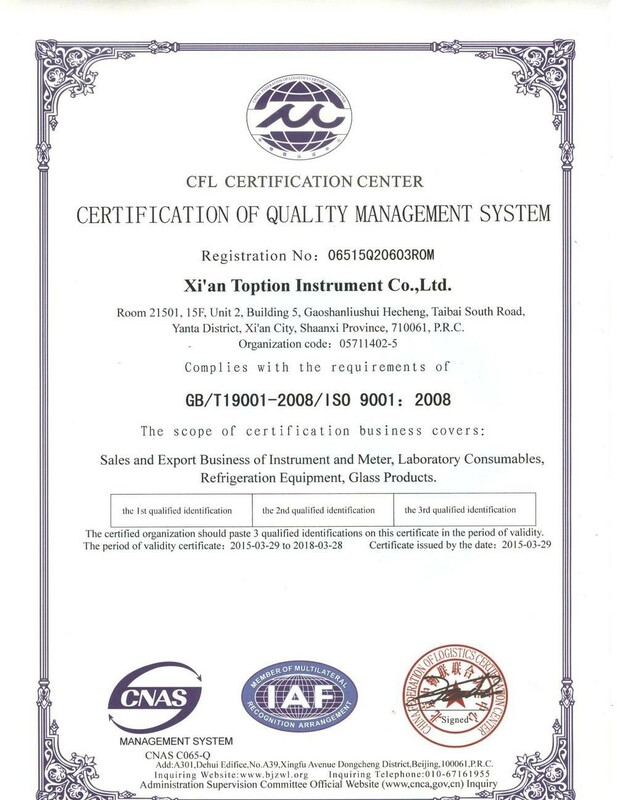 3.Reliable quality and thoughtful after-sale service: If you encounter problems when using our products, please contact us by telephone or e-mail, we will be ready to provide consulting, maintenance and other services immediately. Q: How to choose suitable equipment ? A: Please email us about problem with pictures or a small video will be better,we will find the problem and solve it. If broken, we will send you a new free part if in the warranty period.